Our first EMEA Publisher’s Summit took place this week, at Altitude 360, Millbank Tower with (grey) views across London. 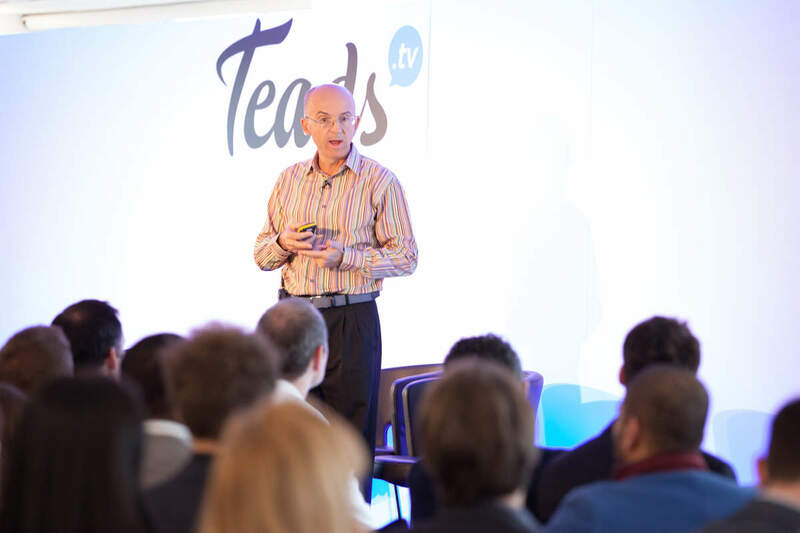 Over 100 leading publishers and digital experts from across Europe attended to discuss how to overcome challenges in this expanding industry, and how best to capitalise on the growing opportunities offered. Pierre Chappaz, our Executive Chairman opened the morning with an introduction to the outstream video advertising format. He applauded the development of a new advertising model for the internet, as TV usage declines while online video advertising increases. Anthony Rhind, Global Chief Digital Officer at Carat gave an engaging talk on ‘The Video Landscape’. He warned about ‘scatter gunning’ TV ads hoping to reach an audience, and how ‘second screening’ had become a norm. These developments need to be reflected in the inventory and advertising experience. 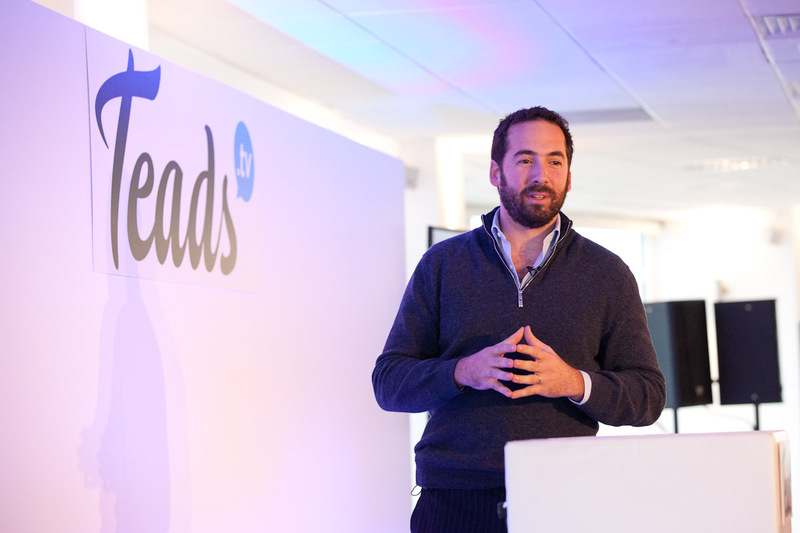 He encouraged a close working relationship with entrepreneurial software companies like Teads to create a better consumer experience, urging the adoption of new technologies. The average UK home owns 10 devices that can connect to the internet, and so this is an environment which is clearly positions to capitalise on video content. Anthony Rhind addresses the audience. 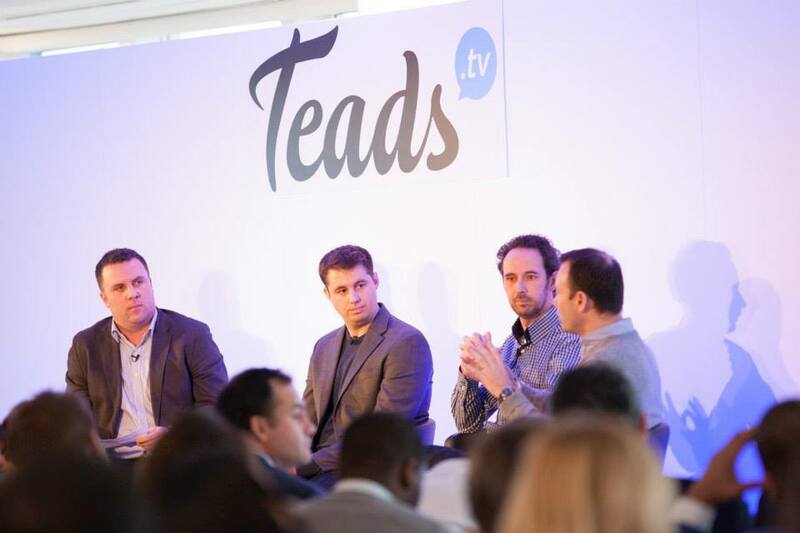 Our first panel was chaired by Vincent Flood, editor of Video Ad News (VAN) and explored the opportunities that programmatic video can offer publications. The panel of European industry experts included Anthony Rhind, Martin van de Meij from Telegraaf Media Group in the Netherlands and Ian Monaghan from Tubemogul. The mixed background of the panellists, from both agencies and publications ensured that there was a lively discussion. Martin commented on the challenges when scaling up internationally, as language can make it difficult for host publishers to expand and limits their inventory. There were comparisons between the use of inRead™ and pre-roll, with a general agreement that the suitability of the ad is dependent on both the content and the environment, with Ian believing that within video advertising, context is more important than display. Vincent Flood, Ian Monaghan, Martin van de Meij and Anthony Rhind. Jeremy Arditi, Teads SVP International premiered ‘Insights Direct From Gen Y’, research carried out by On Device about the mobile media consumption habits of this generation. Generation Y, typically aged 16 – 34 are consuming content rapidly via their mobile, with the average member of Gen Y owning 3.6 devices. Coincidentally, this is the average number of Bibles owned by someone in the USA. Content consumption is growing rapidly, but amazingly 31% of respondents in the UK had never seen a mobile video ad. Generation Y are the first demographic moving away from TV viewing. They are the generation who will unlock TV video advertising budgets and bring revenue towards mobile campaigns. 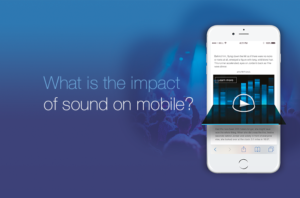 While there are challenges, this research supports the idea that there is room for publishers to grow into the mobile video market. 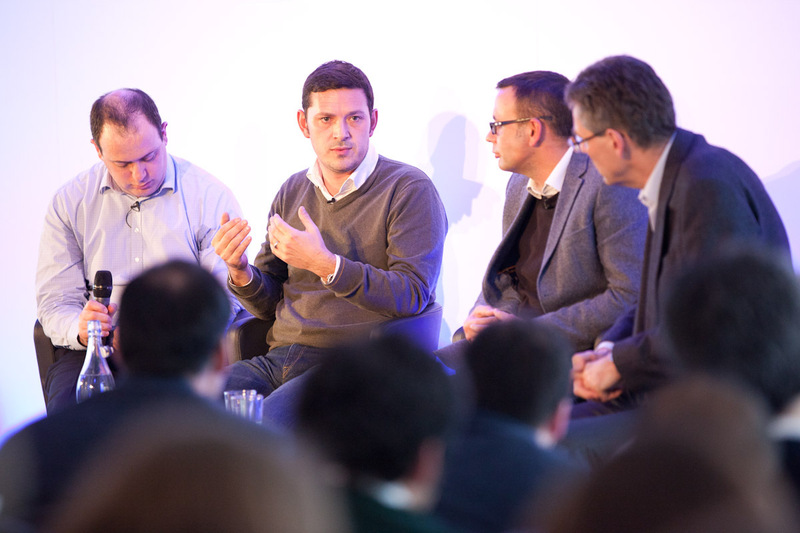 Gideon Spanier, Media Editor of The Evening Standard chaired the panel ‘Building a Transparent Marketplace’. 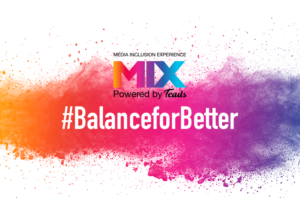 Leaders from the publishing, agency and tech industry discussed viewability, transparency and relationships from all sides of the supply chain. Anthony Hitchings, Digital Advertising Operations Director at the Financial Times, Justin Taylor, Managing Director of MEC Digital UK and Teads’ Alan Dunachie, VP Publisher Services EMEA provided an informative discussion with lots of opportunities for questions from the audience. 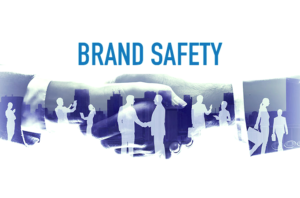 They all agreed in the importance in defining terminology, distinguishing viewability from visibility and the industry wide problem of inventory. The definition of a viewed ad as defined by the IAB was widely agreed to not go far enough, with Justin stating that the guidelines they work to for their clients are higher than recommended, suggesting a need for new guidelines which reflect these practises. 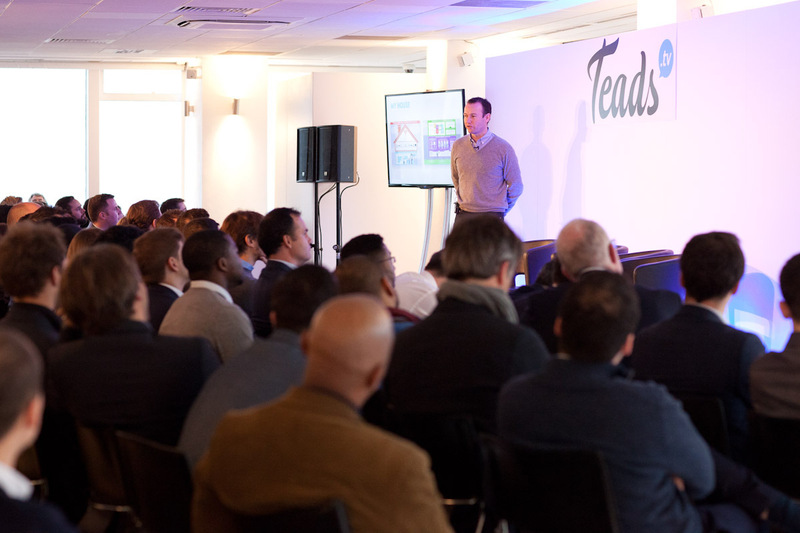 The event was the first of its kind that Teads has held, with a similar event being held in the USA on the 10th. It was fantastic to see so many attendees from across Europe. Thank you to everyone who came, and especially to our speakers and chairs, we hope you all found it as informative and interesting as we did. Gideon Spanier, Justin Taylor, Anthony Hitchings and Alan Dunachie.